FRIDAY PLAYGROUPS & CLASSES IN THE EAST RIDING. For other days use the left navigation panel. Below is a list of all the local playgroups, classes, activities and clinics across this area (Beverley, Cottingham, West Hull Villages to Brough). Please contact the organisers directly if you would like to find out further information or to confirm class times or costs. 9.45 – 10.25. Anlaby Studios, Wilson Street, Anlaby. Dancing with the Emphasis on FUN! Dancestars is a fun, energetic dance class that will see your little one wiggle and giggle, move and groove to all the latest songs! Aimed at boys and girls, we provide the funky tunes…..the children do the rest! Suitable for walking to 4 years. Classes also in Beverley, Elloughton, Anlaby, North Newbald and Market Weighton. Classes are pay as you dance. We work with nurseries, schools and provide holiday clubs and parties too! For more info contact Clare on 07943 112262, email info@dancestars.co.uk, visit their website here or follow them on facebook here. Music classes for little ones with singing and musical instruments. Jolly Babies is suitable for 0-1 years, Music with Mummy for 1-3 years and three Four Time for 3-4 years. Music with Mummy: 10.00. 10.45, 11.30. For more info visit their website here or facebook page. Classes are £4 each, call Kelly Webster on 07787 172825 to book. Also on Monday and Wednesday at Molescroft Pavilion and Tuesday at David Lloyd Kingswood. Brough – Methodist Church, Brough, HU15 1DL. 9.30 – 10.15 & 10.30 – 11.15: My Baby Can Dance. 10.00 – 10.45: Newborn Can Dance. Market Weighton – The Scout Hut, Providence Row, YO43 3FE. 10.00 – 10.45: My Baby Can Dance. 11.00 – 11.45: Newborn Can Dance. 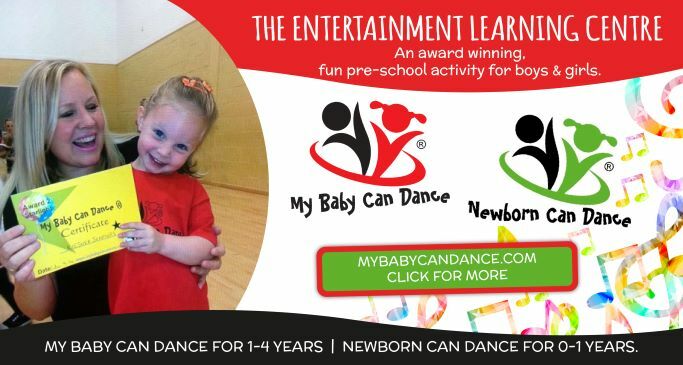 My Baby Can Dance is suitable for 12 months to 4 years. Fun dance class. Early years education is combined with dance, movement, great music and eye catching activities to create a family fun, structured and educational environment. or check out their website here. Mermaid Mama, 60 Welton Road, Brough, HU15 1BH. Daisy Baby Tinies classes are for postnatal mums and their baby only, are suitable to attend from around 6 weeks after birth and are adapted to suit all postnatal related conditions, multiples and individual needs with ease. Our unique fourth trimester mum and baby class draws on elements of baby massage, baby yoga, postnatal movement and baby care education to create one very powerful combination. From easing infant ailments, aiding their development, adapting to your postnatal body and easing in to your new role amongst friends. Daisy Baby Wrigglers classes are for mum (or other care provider) and baby, are suitable to attend from around 4/5 months and are adapted to suit multiples and individual needs with ease. For more information please contact Danielle on danielle-smith@thedaisyfoundation.com, 07469 756819 or visit their website here or check out their facebook page here. 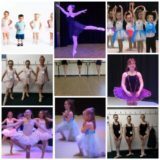 Louise Dell Performing Arts have been a dance school in Hull for 25 years. We follow the IDTA (International Dance Teachers Association) syllabus, with lots of opportunities for taking part in exams and shows. Louise has 30 years experience as a dance teacher, with a 100% pass rate for exams and many ex pupils now working within the trade. St Joseph’s Church Hall, Boothferry Road, Hull: Tuesdays – Street Dance, Freestyle, Ballroom and Latin for ages 3 to 6, 7 to 11 and advanced class. Plus Adult Ballet or Adult dance fitness. For more information please contact Louise on 07876 547282, email ldpahull@gmail.com, or you can check out her website here or her facebook page here. Run by Helen who is also a breastfeeding peer supporter for the Goodwin trust so it is a breastfeeding friendly group. She can also sign throughout the class so deaf families can attend. £3.50 per family, pay on the day no block payments. Booking only. For more information email Helen on minimoppets@outlook.com or book through their facebook page here. Tree-mendous Tots: adventure in the Woodland! Wednesdays 10.00 – 12.00. Different theme with lots of fun activities and a yummy biscuit treat for all the children. From fairies of the woodland to minibeast hunts there’s lots of adventures to be had! £2.50 upgrade on admission to join in, suitable for ages 2+. Babies under 12 months and adults are free of charge. Storytelling Club: Every weekday during term time at 1.30. With a variety of stories being told, it’s the perfect afternoon outing for you and your little ones! Storytelling Club is included with admission to William’s Den. For more info about Williams Den and to pre book tickets check out their website here. Contact the team for more information 01430 472230 or hello@williamsden.co.uk. Baby and Toddler swimming with Water Babies is an exciting, enriching experience for both you and your little one. As the UK’s leading swim school, not only do we teach vital lifesaving skills but we always incorporate lots of bonding, fun and socialising, so you can be sure that a Water Baby is a happy one! Our number one priority is to make sure you feel both happy and safe in the water. We offer classes across the area for little one from birth through to school age. Market Weighton: Weighton Wold, YO43 4NE – Monday, Wednesday and Friday mornings. The Mecure Grange Park Hotel, HU10 6EA – Wednesdays afternoons and Friday mornings. Bridlington: Palms Leisure Club, Ferns Farm, Main Street, Carnaby, Bridlington, YO16 4UJ – Tuesday, Wednesday and Sunday Mornings. Classes available in Hull at Winifred Holtby School, from birth to school age. Water Babies now offer monthly payment options for our classes, allowing you to spread the cost of your little ones swimming journey! Check out their website or facebook page here or contact 01904 607110 or littlefish@waterbabies.co.uk for more information. Happy splashing! York Way, Willerby (next to Aldi, behind Stor-More). 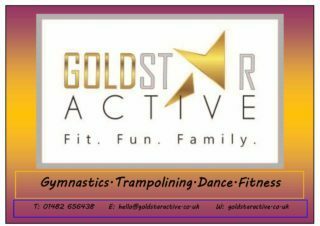 Specifically for 2-5 years there’s Little Stars, pre-school gymnastics available Monday-Friday 10am-2pm. School holiday camps during school holidays for ages 4+. For the grown-ups – fitness classes and Yoga. Creche facility available for these classes. Also a great cafe upstairs, The Grind, all welcome to pop in to anytime. Lessons on Tuesdays, Thursdays, Fridays and Saturdays. Fun and structured lessons taught by the best instructors within the swimming industry! Each lesson is progressive and builds on a range of surface and underwater skills together with water confidence and safety. FREE taster classes available. Classes run 5 days a week at the Mercure Willerby (Tuesdays, Thursdays, Fridays, Saturdays) and Frederick Holmes School Hull (Sundays). The East Riding Leisure Centre, Haltemprice, 120 Springfield Way, Anlaby, HU10 6QJ. The East Riding Leisure Centre, Haltemprice, 120 Springfield Way, Anlaby, HU10 6QJ. 01482 652501. £3.30 per session. Just turn up. Free. For children aged 0-3. Term time only. Need to book a place via the library or Anlaby Children’s Centre. Anlaby Studios, 18-22 Wilson Street, Anlaby, HU10 7AN. 2-3 years: Parent & Tots Dance, Friday and Saturday at 9.45. Musical Theatre, Tuesday at 2pm. Also Boys Only Dance for ages 8+ – Ballet Monday at 6pm, Contemporary Thursday at 6pm. For more info contact Chloe on 07414 444685, email contact@anlabystudios.com. Also run a variety of children’s classes. 9.30 – 10.15. Calvella School of Performing Arts, Pryme Street, Anlaby. Would your little one like to wiggle like Iggle Piggle or bounce a ball like Upsy Daisy? Toddler Dance at Calvella is all about you and your little one having fun together whilst developing your toddlers balance, coordination and agility. Using music, rhyme and movement we endeavour for everyone to leave with a smile on their face. From 18 months/confident walking to pre school age. £5 per class. Contact Sam on 07973 142966 to reserve a place. 9.30 – 11.00. St Mary’s Parish Hall, Beverley. Adults, babies and toddler group, term time only. Suggested donation £2. Everyone welcome. For more info please contact the church office on 01482 869137. King’s Church, Swinemoor Lane, Beverley, HU17 0JX. Times by age from 10.00 to 1.00. Also run classes in other venues across our area. Email beverley@babysensory.co.uk for more information. Beverley Children’s Centre, Coltman Avenue, Beverley, HU17 9LP. 01482 880066. Mega Fun, Annie Reed Road, Beverley, HU17 0LF. 9.30 – 3.00 Monday-Friday, various times for different age groups. Suitable from 15 months to 4 years. Call for info and to book – 01482 880091. Also run after school G Fore gymnastics for school age children. Baby signing is an amazing way to help your baby tell you what they want without tears! Baby signing encourages speech development and also helps to reduce toddler tantrums. At Little Signers Club we teach British Sign Language signs in relaxed and fun classes using songs and stories. And there’s always bubbles! 10.00 – Baby Signing Basics: introductory course in baby signing. 11.00 – Sing, Sign and Rhyme: based around a different theme each week. For more info and to book contact Sally on sally@littlesignersclub.co.uk or call 07903 301725. 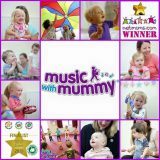 The Music Time charity provides interactive music-making classes to introduce basic music, singing and social skills to babies, toddlers and preschoolers along with their parents, carers and childminders. 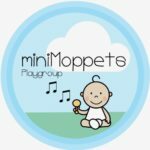 Held in relaxed, educational and stimulating one-hour local playgroups, classes are led by professional musicians and are ideal for babies and children up to 4 years old. First session FREE. Sessions also in Cottingham on Mondays. Call for info and to book with Dean on 07947 817556 or email info@music-time.org. Sessions throughout the day, call for times and prices. No need to book. Award-winning, sensory-rich toddler development programme, where structured play goes hand in hand with imagination, adventure and the freedom to explore. Each week has a unique theme, with activities carefully constructed to stimulate your child’s brain, co-ordination and physical development. We’ve done the research, so you can both enjoy the fun. Also at other venues in Hull and the East Riding. Email beverley@toddlersense.co.uk for more information. Brough Children’s Centre, Brough Primary School, Springfield Avenue, Brough, HU15 1AE. 01482 669474. Also incorporates Howden Children’s Centre, First Floor Howden Multi-service Centre, 69 Hailgate, Howden , DN14 7SX. 01482 395220. Walking fitness class for mums with prams, mums with children at school also very welcome. 2-3 mile walk around Brough with stop points for light resistance exercises, helping to tone up. Cottingham Children’s Centre, Bacon Garth Primary School, The Garth, Cottingham, HU16 5JP. 01482 845636. £3. Sessions for under 5s to play, no need to book just turn up. Also on Wednesday. 9.45 – 11.15. Zion and Newland United Reformed Church, 213 Hallgate, Cottingham, HU16 4BB. Fantastic Gymnastics for girls and boys 4 years upwards. We are a gymnastics club that cares about what we teach and how the gymnasts develop and progress. We aim for excellence and longevity in our sport, and for a high work ethic alongside a family, friendly atmosphere in the gym. We hope each gymnast’s life is improved through the challenges and successes they find in themselves and in our programmes. Kirkella St Andrews Primary School – Tuesdays and Thursdays 3.30-5.00. Running now. Bishop Burton College Sports Facility – Wednesdays, Thursdays, Friday evenings and Saturday afternoons. Times vary. Start 24th April 2019. 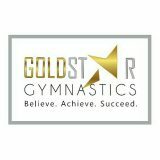 Gymnasts of all abilities and levels welcome and our motto at every level is Be the best gymnast you can be! For more information please email dexteritygymnasticsacademy@gmail.com. Driffield Children’s Centre, Beckside, Driffield, YO25 6QN. 01377 240782. Tennis classes run by LTA qualified coaches. Tennis Tots for ages 2-4 on Fridays and Saturdays. Also classes for older children. Also in South Cave. Run from a private pool in Dunswell. New programme of swimming lessons from Sportsability, from a lovely private pool with exclusive use. Small class numbers, high quality lessons with highly experienced and qualified ASA Level 2 swim teachers. Pre-school classes for ages 3-5 years running during the day. Primary school age classes running weekday after school and Saturdays. Private lessons also available. Ideal setting for SEN children. Non-intimidating environment, beautiful facility. Adult lessons also available upon request. 6 week block bookings, £39 per block. Please contact their friendly swim team on 01482 229676 or info@sportsability.org.uk for more information and to book a place. Come along for a morning of gentle yoga to create strength, calmness and energy in the body and time to rest and relax with baby. For all levels of yoga, from 6 week check, babies from 6 weeks to crawling. £36 for 6 weeks or £28 for flexi four week pass. Contact Em on 07834 161350 or email em@emyoga.co.uk. 1.00 – 2.00. Hessle Town Hall (upper hall). Different fitness exercises that can be done with your baby. Can start any time from your 6 week check up. A great way for mums to get fit in a relaxed, safe environment, you are welcome to stop to feed or change! Run by Personal Training by Kimberley…. creating Fitties. £4 per session. For more info contact Kimberley on 07535 327586. Hessle Children’s Centre, The Hourne , Eastgate , Hessle , HU13 9LJ. 01482 629085. 4 week course. £29 for the 4 weeks, includes a detailed picture booklet of strokes and sequences to take home, use of oil and a certificate. 10.15 – 11.30. Keyingham Village Hall. Free, weekly playgroup for under 5’s. For more info call Hedon Children’s Centre on 01482 899962. Leven Recreational Hall, East Street, Leven. Wednesdays 2.00 – 3.00 and Fridays 10.30 – 11.30. Weekly craft session for parents, toddlers and Preschoolers to meet and make friends while participating in various age appropriate craft activities. Cost £2 per child. For more info please email northcavepreschool@hotmail.co.uk. Music training playgroup based on the EYFS Music Development Matters framework. 9.30 Pre schoolers, 10.30 Toddlers. There’ll be lots of instrument playing, beat keeping, singing and dancing with professionally qualified music teacher and Mummy Marissa. Baby Sensory music group to be announced soon. All classes £4. Please book in advance at marissa@musicplayschool.co.uk 075721692125. Classes also in Anlaby. 9.30 – 11.30. Patrington Village Hall. Baby and toddler group run by local volunteers. £2 per family, all welcome. For more information please call Lizzie 07748 966974. 9.30 – 11.30. Paull Village Hall. £1.50/child, includes drink and snacks for children and cuppa or juice for parents/carers. Term time only. Pocklington Cricket Club, Burnby Lane, Pocklington, Y0421UJ. Times by age from 9.30 – 2.20. For more information contact Steph on 07725 481334 or email eastyork@toddlersense.co.uk. 3.45 – 5.00. Skidby Village Hall, Skidby, HU16 7TH. 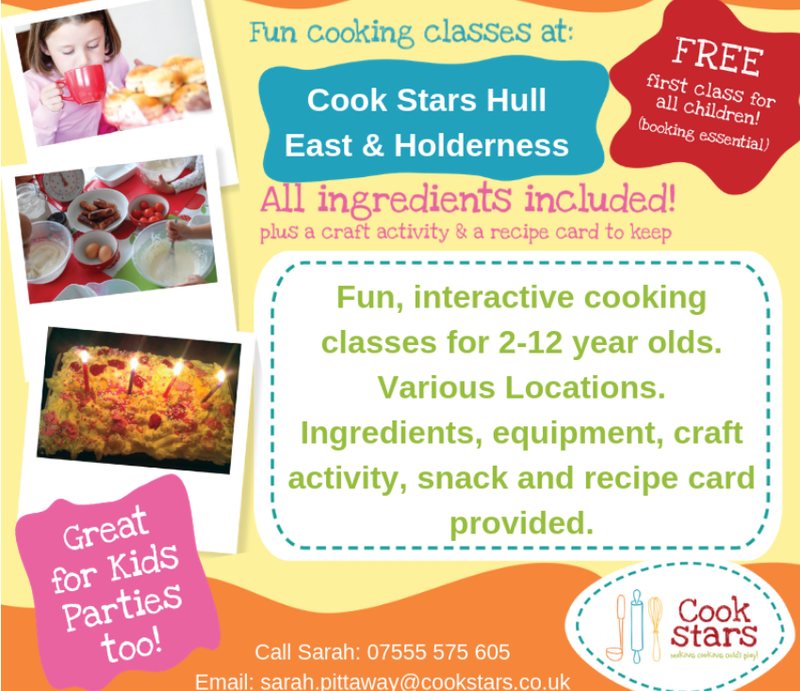 Childrens cookery classes, for ages 2-12 (under 5’s need an adult to stay). The sessions will include preparing a dish, a snack and juice, followed by a craft activity. First session free. Free. Suitable for 0-5 years. After school and weekend junior squads tennis training. Monday, Tuesday, Wednesday, Thursday, Friday 4.00 – 5.00 for ages 4-12 years. Also Tuesday, Wednesday, Thursday 5.00 – 6.00 for ages 10-14 years and 6.00 – 7.00 for ages 14-18 years. Saturdays 10.00 – 11.00 for ages 4-14 years. Also runs school holiday programmes. 10.00 – 11.30. Walkington Methodist Church Schoolroom, Walkington, HU17 8RX. Stories, music and crafts. 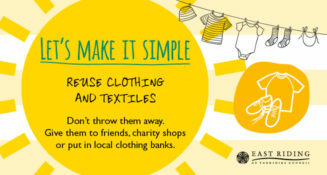 £1 per family, suitable for children 0-4 and their families. They have a facebook page for more info. Swimming lessons for 3+ years on Mondays, Tuesdays, Thursdays and Fridays and Saturday mornings. Call for info and to book – 0161 9790499 or email info@beckyadlingtonswimstars.com. The Mercure Grange Park Hotel, Willerby. Swimming classes taught by local, independent instructor Chris. Suitable for 3 years plus on Monday, Wednesday and Friday. £6/week, don’t need to pay per term and no payment if you’re on holiday. 6.00 – 7.30. Willerby Methodist Church Hall, Carr Lane, Willerby. Games, crafts, quizzes, drawing. Make new friends. Also a tuck shop. For primary age children, drop them off and let them have fun at Friday club. Only 40p per child. No need to book, just turn up. For more info call Barry on -1482 658254. Withernsea Children’s Centre, Withernsea High School, Hull Road, Withernsea, HU19 2EQ. 01964 612618.